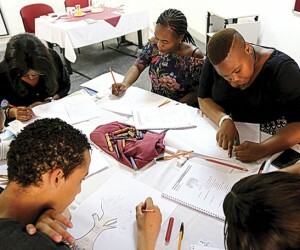 Each year, the JB Marks Education Trust Fund holds a week-long Induction workshop in January for all its new beneficiaries. The program is a personal and professional effectiveness program with three key themes that form the basis of the workshop: Self-empowerment, “Teamness” and Effectiveness. The workshop commenced on Monday, 15 January and ended on Saturday, 20 at Elijah Barayi Memorial Training Centre (EBMTC). The number of undergraduates funded by the Trust has increased from 200 to 280 due to the recent partnership between the Trust and the Mining Qualifications Authority (MQA). The Trust funds all qualifications until the beneficiary has acquired a degree. Since 2013, the Trust has set aside ZAR2,5 million for critical postgraduate studies with more than 30 honours students and more than 10 Masters students. In total, the Trust has produced 1121 undergraduates since inception. 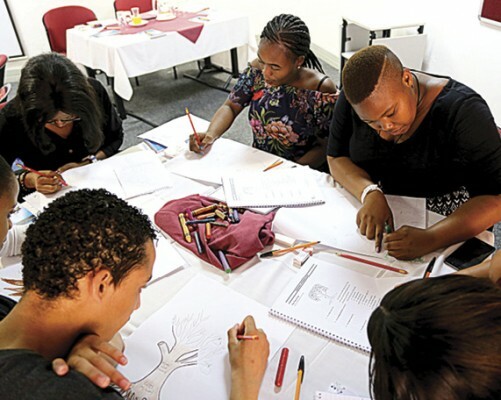 The Induction Workshop forms part of the Trust’s capacity-building programs that aim to empower JB Marks beneficiaries with soft skills that will give them an advantage in their future careers. Moreover, this initiative goes a long way towards levelling the plane field for beneficiaries, most of whom come from previously disadvantaged backgrounds, in rural areas across South Africa. Due to that, most of them find it difficult to transition into tertiary, away from home and everything they know. This is of great significance because the Induction Workshop in particular is a platform that allows the beneficiaries to create long-lasting friendships that they are able to take with them throughout tertiary and, in some instances, throughout their entire lives. Since the introduction of the Trust’s capacity building programs, the drop-out rate has decreased as a result of the Induction Workshop, whilst the output rate has increased as a result of the Exit Workshop—a work-readiness program for third- and final-year beneficiaries. “Taking into account the current educational climate in the country, JB Marks has thus far managed to keep its head above the clouds and take care of their beneficiaries. Our hope is that we will continue to maintain this momentum in the future,” concluded Mokgosi.